← The Mooring – Everyone dies. I hope this doesn’t spoil it for you. Back during the Yom Kipper War, Six Days War, one of those, I recall a friend named Victor Sturm, an atheist, commenting the Israeli military prowess was almost enough to make him believe in God. I think that was true for most of us, whether we were atheists, or not. Israel’s always been easy to support. Well, we’re a lot more informed these days. Germany was one of the places where one hell of a lot of people were systematically persecuted and killed. One of the places, and Jews were one of the targets. Fact is nobody cares about all that. Nobody cares about atrocities and genocides. Including Israel. Nobody lifted a finger to stop Cambodia, Biafra, and a dozen other places where the death counts got into six figures or higher. And WWII sure as hell wasn’t fought about what Germans were doing in those camps to Jews and Gypsies. Nor what the Japanese were doing to the Chinese and other countries they occupied. Justifying US involvement in WWII because of Hitler’s camps is pure fabrication by hindsight. Nobody before Pearl Harbor gave a popcorn fart what Hitler was doing to Jews. And the Jews fleeing Germany were having one hell of a time finding any country willing to take them. They were stacking up like cordwood in Spain and Portugal because Britain, the US and almost everyone else didn’t want any more than they had already. So when the dust settled Israel was formed to assuage the guilt feelings of the US population, the British, everyone who sat by with their thumbs up their butts at a time when they might have saved a lot of lives. Christian religious fanatics in all the civilized countries loved the idea. It carried the undertone suggesting somehow God was involved in all this, letting his Chosen People return to the Promised Land. It might have worked out fairly well. If Israel hadn’t turned out to be as savage, greedy and lacking in human compassion as the rest of humanity, it could have worked out. Likely as not they could have settled in, shaken hands with the new neighbors and worked together to make the world a better place. But that couldn’t happen. Israel was won by terrorism and terrorists, and it’s continued to indulge in State terrorism from the day it was founded. The Israeli government continues to grab land outside the boundaries established by the United Nations, continues to slaughter the neighbors without conscience, and blames everything on the people they’re robbing and slaughtering. And nobody’s quicker on the draw with playing the race card than Israeli supporters. Anyone who tries to examine the behavior of Israel critically is immediately accused of hating Jews, being an anti-Semite. It’s happened right here in the comments of blog posts whenever Israel received critical examination. Or even in response to pleas that they resort to peace occasionally just for the novelty. Savagery and blaming the victims, same as the US has done countless times in countless places. Same as the Russians, the Japanese, the Chinese, the British, the French. Hell, the contagion of being Chosen People must have been awfully damned infectious to have infected so much of humanity with Hebrew Biblical behavior. Israel has passed the Modern Civilization 101 course in greed, aggression, brutality, callous disregard for human suffering and tedious self-aggrandizement. It’s time to put them up there with the Great Nations and let them sink or swim among the sharks. I think they might make it for a while. Because when we have to get along with our neighbors to survive, we tend to become circumspect and reasonable in ways we’d never thought of when we were being mollycoddled and pampered as though we could do no wrong. The US is bankrupt, though it doesn’t admit it. Our industry’s all gone to Asia. Our weaponry’s all designed and manufactured by Asians. A time is coming when US foreign aid will be a footnote in history. Along with US military prowess. 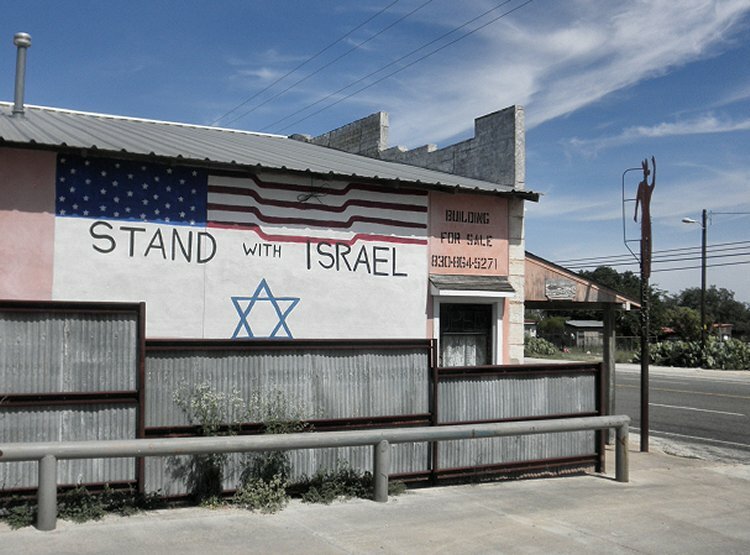 But we can be confident Israel will probably be the recipient of the last US foreign aid dollar to be sent anywhere, despite famines and disease where they really need it. This entry was posted in 2014, America, Government and tagged culture, economy, Events, foreign aid, History, Human Behavior, humor, Israel, military, politics, psychology, society, sociology. Bookmark the permalink. Still reading your blog when I receive it. Thanks for the comments about Israel. Being a recent immigrant (arrived in Canada in 1952) I have learned to keep my mouth shut about such matters. Young Germans are just now daring to wave their flags and express their pride in being German. Sixty years after the war, and it took the victory at the recent World Cup, and the general approval for the team’s performance, to allow us to show pride in our heritage. Thank you for saying it as it is, and should be, in a civilized and intelligent world. N obody ever mentioning that the Russians lost 27 Million people??? Always about the Jews. Isn’t that strange? Yesterday I did a search on who broke the 2012 ceasefire first – seems a lot of Palestinian fishermen and farmers were shot by Israelis before they finally resorted to sending one rocket into Israeli ‘territory’. I was brought up (in Britain) to be completely oblivious to whether someone was Jewish or not – had no idea till much later in life that there was a Jewish ‘look’ and there was still discrimination despite what happened in WWII. Seems whenever we describe someone by their religion someone else can’t help hating them for it, despite ‘love thy neighbour’. In demonstrations on behalf of Palestinians here we are seeing supportive Jewish groups – we can’t blanket people with one religious – or national – label as of one mind, thank ‘god’ (whichever one you happen to believe in – or not). Depressing stuff, but thanks for sticking your neck out and writing it.